Today’s post was donated by James of at www.keeline.com, please visit his amazing website. 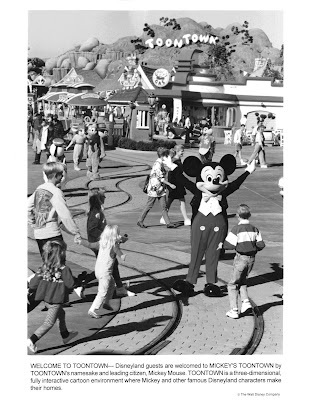 He makes my Disneyland publication collection look like tiny in comparison. 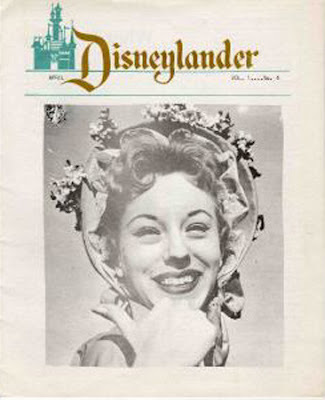 The “Disneylander” was an employee publication the preceded the “Disneyland Line” and from I can tell they were issued from 1957 thru 1958. 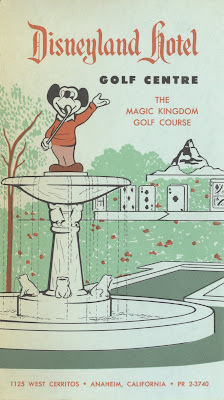 Today’s issue is from April 1957. 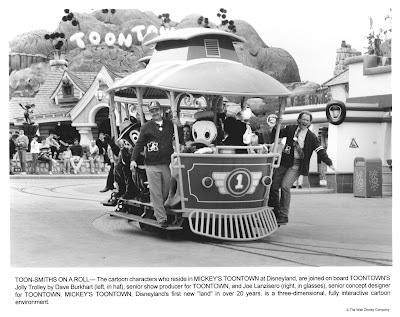 Be sure and check out page 6, there's talk of a "Blue Streak Express" train coming to Fantasyland (the Viewliner no doubt). Thank you to James for sharing this, oh, and he has lots more!!! It’s been six weeks since my last visit to the park, so much for “twice a month”! I did have a couple chances earlier this month, but it was rainy or windy, neither of which are much fun at Disneyland. However, Monday (1/26) was a beautiful day at the park, crisp and clear, everything was fresh and clean. This flyer was being handed out in the parking lot. 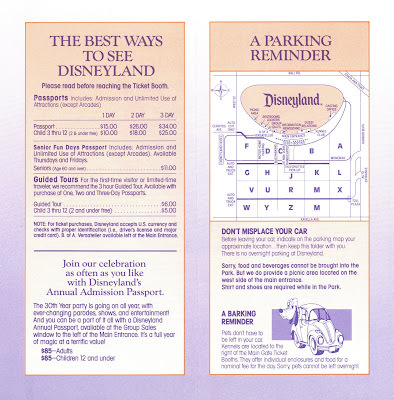 What happened to the cool parking lot flyers like the vintage ones I post? This thing is just an advertising leaflet! Wow an annual pass for $5.42 a month, do you think anyone will buy it? Half the folks coming to the park on Monday were buying it and in line at the ticket booths! This is around 11:00am, have fun with that line. The main gate was basically no waiting and the rest of the park was at “low crowd” levels. I have to tell you, the park is sooooo nice when it’s not crowded; some areas of the park are virtually empty. Check out that sky! This was actually taken as I left at 12:21, that clock is very accurate. The castle looking grand with that blue sky background. Doesn’t the castle look much better without all its Holiday layover junk? Did you know they sell medieval swords at a little shop in the Fantasyland castle courtyard? These “replicas” look pretty convincing to me. The cast member told me they are indeed “functional” and if you buy one, it get’s shipped to your house. You mean I can’t buy one of these any carry it around Disneyland all day??? By the way, they seam reasonably priced at $170 for “Excalibur” model. For some odd reason, I want one. Fun to photograph, but spinning rides aren’t for me. Three fences is doing well, the vines that were so green a few months ago (link) seem to have died off. See the older style of fence in January 1957 at Gorilla’s Don’t Blog (link). Upon spotting this construction wall I figured “great, they are finally fixing that crack in the monorail beam”. Nope, the walls are for some work on the ground. The crack has actually gotten worse! Here a photo from last month (link) at that time they had already patched it twice. Now its triple patched, leaking water (from where I don’t know) and other cracks have developed. I hope this is just cosmetic, I did see monorail purple pass over it a few times. Far out ceiling, I’ve read this was going to be the style for the “Tomorrowland 2055” that never was. I’m not sure if I like it or not. 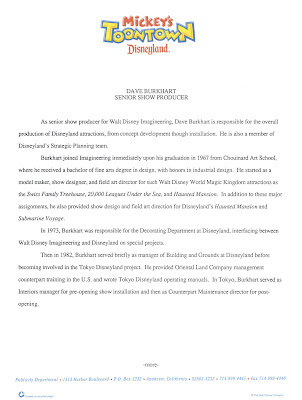 Daveland had a wonderful post yesterday (link) about the PeopleMover. 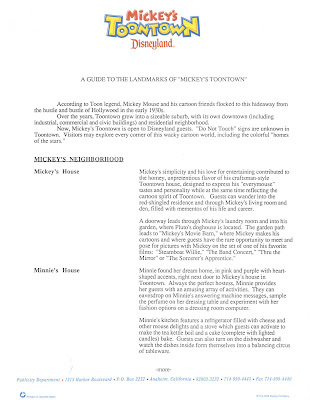 One of the comments (from Mike who has an upcoming blog we can not wait to see) was that “three planters in the center of the Tomorrowland corridor (are) in the Goodyear corporate shape”. That's funny because on Monday I took this picture with the intent of asking if these were original 1967 planters and benches, well I guess they are! Speaking of the PeopleMover, the north show building exit has a few of the 1967 tiles missing. That must be recent as always check out this area. I hope they have the tiles, they might be hard to re-order. Ps. they aren’t in the planter below, yes I looked. Majestic isn’t she? Check out Gorilla’s don’t Blog again for a post on what the waterfall used to look like (link). A new lunch favorite. I always avoided these gumbo bowls from New Orleans square because I thought it only came with clam chowder or some fishy stuff, but there’s a Steak Gumbo version that is yummy as can be! Those little doors upstairs on the Stage Door Café are real, I saw the maintenance guy come out thru the middle doors. Did I mention it was a beautiful day? There's always something fun happening in Frontierland, these girls seemed to be having a good time. 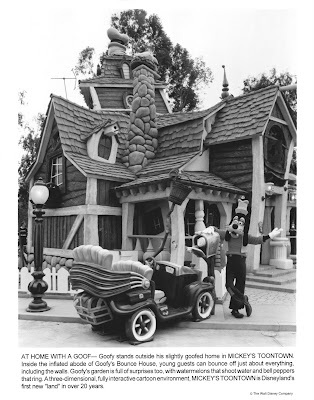 Does anyone even notice this nice touch of old Disneyland? I do…. Oh boy, these “Celebrate” things are, well…… Hmmm, nothing nice to say really. They’re “bright”? The fake flowers won’t die? Hopefully those iron shackles don’t damage the 120 year old antique gas light posts? Only in the last year have a sat in these chairs, it’s actually very charming and you have a marvelous view of Main Street and the hub. Hey, didn’t this used to be the House of Bra’s? The AP center at the Bank of Main Street is about to become the Disney Gallery. I think they are going to tear out the current interior. I tried to get some photos of the interior since it is mostly original to 1955; even the vault is still there. But it was too crowded and crazy in there, my photos came out horrible. I’ll try again next week; yes I’m going back on Tuesday! 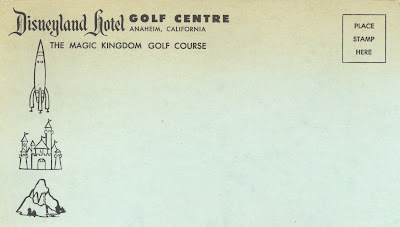 From a post of a couple weeks ago (link) this is a 1955/56 brochure cover for the Tops Motel in Anaheim. This is the Motel as it looks today. The “Classic Motel” is more of a weekly/monthly rate place now, not too many Disneyland tourists I bet. The coffee shop is long gone, looks like they sold part of the lot to make a gas station. The rooms building is remarkably the same, time marches on, or does it? Quick post today. 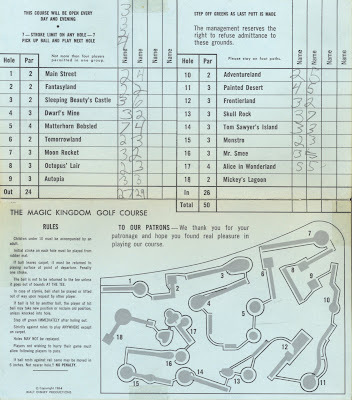 From the Disneyland Hotel, here's a fun miniature golf score card from around 1964. I wonder what the Octopus' Lair looked like? 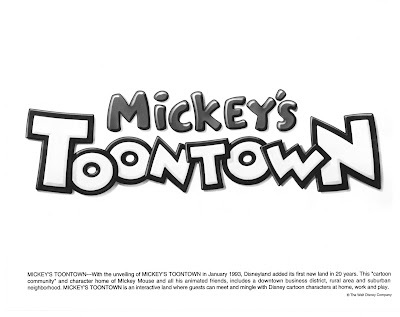 Mickey's ToonTown had its 16th anniversary on January 24th. This post was supposed to appear last Saturday on the 24th, but the dog ate my homework so you get it today. 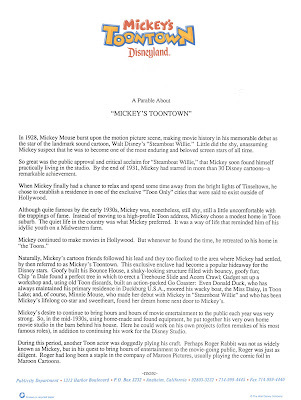 Last year (on the 24th) I did a post of the Commemorative ToonTown Passport (link). On the previous post this HUGE ticket would not fit the old scanner, but it fits the new one! Shown below is the entire ticket in all its cartoonish glory. 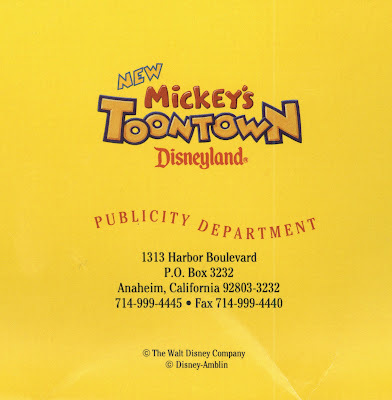 This is the folder that holds the ToonTown press kit. The folder opens up and is the same drawing as the commemorative passport. Even the big scanner won’t capture the entire folder when it’s open so you’ll just have to use your imagination. From the back of the folder, just in case you didn’t know who all this fun stuff came from. Now a set of six black & white publicity photos’. 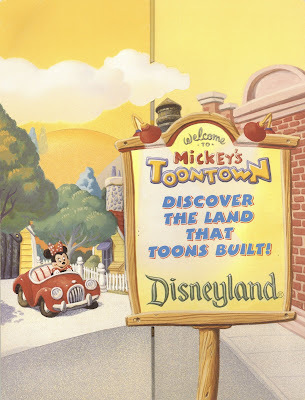 After looking thru these photos I can see why I haven’t been to ToonTown very often. 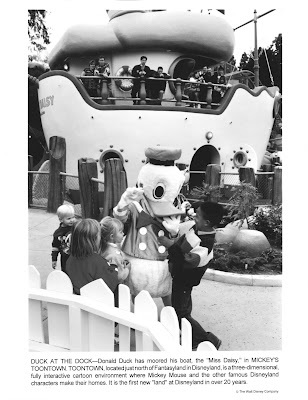 I did 18 Visits to the park last year, but somehow I missed ToonTown every time? 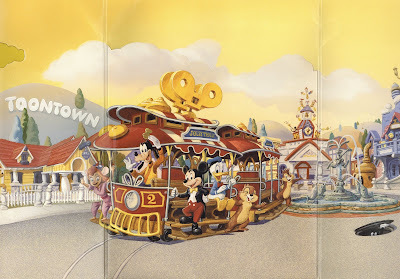 The Jolly Trolley was the the only fun thing in ToonTown, why did they kill it? 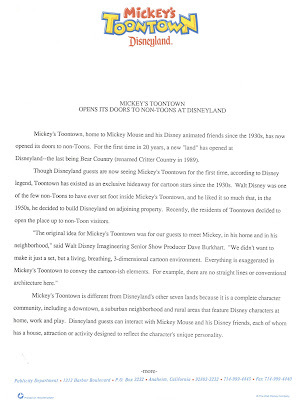 Now for the press releases. Calm down folks, form a single line, there are enough copies for everyone. 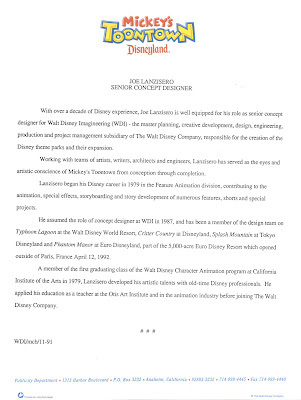 Joe Lanzisero – Senior Concert Designer. 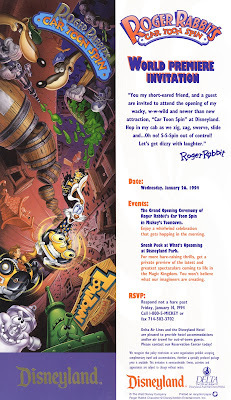 Lastly from one year and two days after ToonTown opened (January 26, 1994), here’s an invitation to Roger Rabbit’s Cartoon Spin. (front on left/back on the right). 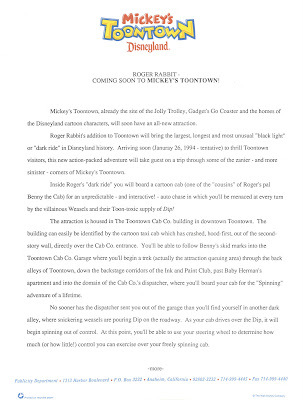 On a very sad but related note, Brandon Zucker, the boy who was critically injured on Roger Rabbit's Cartoon Spin in 2000, died on Monday at Children’s Hospital in Orange County (link). My thoughts and prayers are with his family. 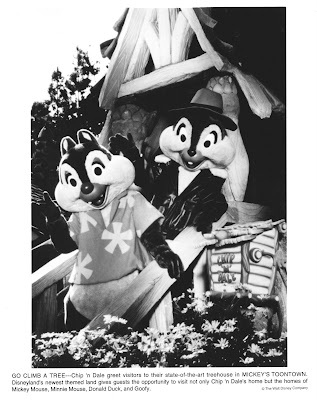 I didn't see any mention in the news stories that he died on January 26th, the anniversary of the opening of Roget Rabbit's Cartoon Spin. From January 27, 1985, “The most extravagant Year-long Party in History is Happening Now”. “And the best has just begun”. 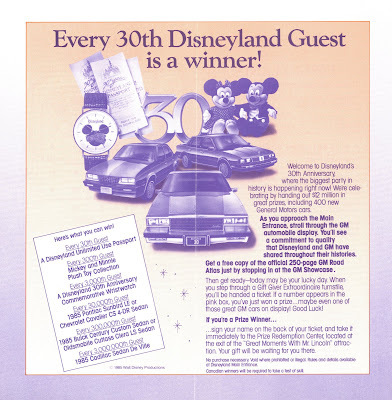 All kinds of great gifts to celebrate Disneyland’s 30th anniversary. 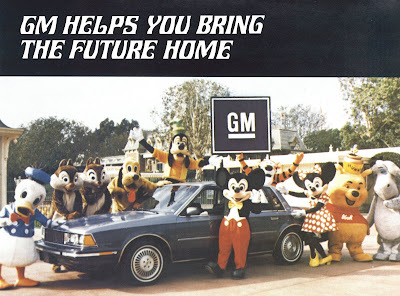 Every 3,000,000th guest wins a new “Downsized” 1985 Cadillac Sedan De Ville. Your best ways to see Disneyland. $15 for the day seems like a good deal. 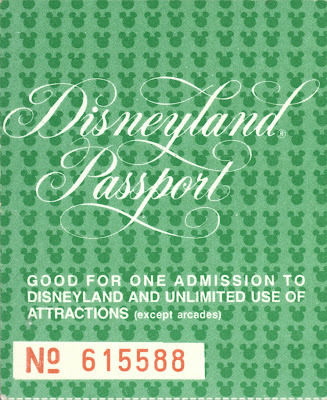 An even better deal is the Annual Admission Passport for $85! I think this is the earliest I’ve seem the annual passport in these flyers and the lowest price. 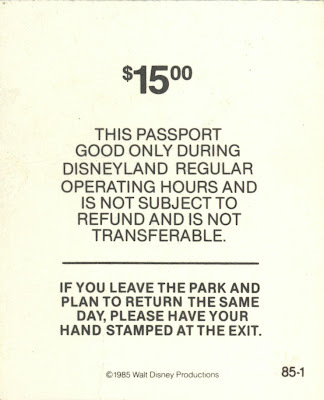 Here is a nice condition 1-day ticket from January 1985. 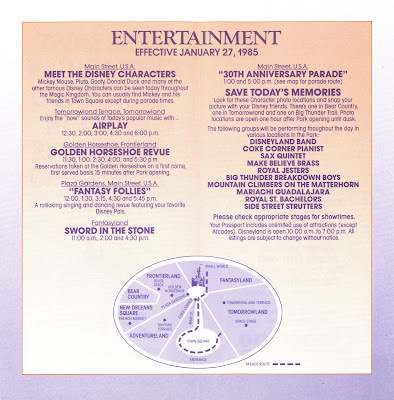 January 27, 1985 was a Sunday and that is reflected in the light entertainment schedule. 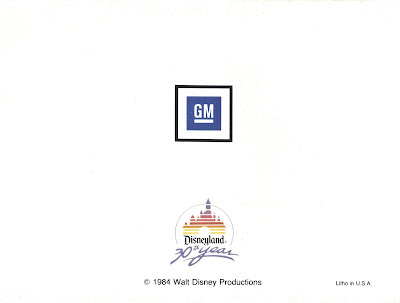 Now for a fun “Souvenir Brochure” from General Motors. 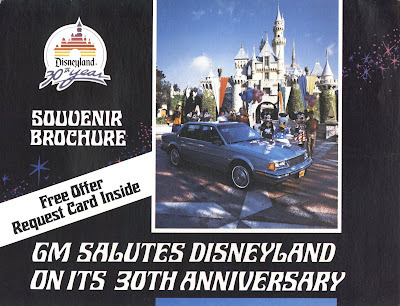 Did they park an ’85 Buick in front of the castle? I had a 1985 Toronado similar to the one pictured below, I love Toronado’s; I’ve had a 1967 (my first car that I drove with my license at 16), 2 1968’s (one with the W-30 package), 2 1969’s (one with a floor shifter, console & bucket seats), a 1972, a 1977 and a 1985 that never ran right! Another Buick, how about the Toronado or the Corvette?